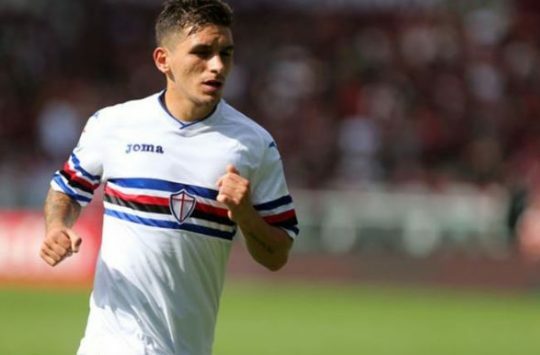 Arsenal are in talks with Sampdoria over the proposed £22million transfer of Lucas Torreira. The 22-year-old Uruguay international, has emerged as a preferred option for new Gunners boss Unai Emery, who wants a defensive midfielder brought in before next season. Torreira has a buy-out clause, but SportsMail reports Arsenal may need to pay in instalments, because of their limited budget for the summer trasnfer window. “Lucas Torreira has a release clause. Everyone knows it. Whoever wants to take Torreira will have to work with that release clause; €25m,” Massimo Ferrero, the Sampdoria president, said. Arsenal have already signed Stephan Lichtsteiner on a free and have agreed a deal worth around £16m with Borussia Dortmund for Sokratis Papastathopoulos which is expected to be confirmed next month.